Industry innovation, meet military precision. We build world class cyber security operations centers. Our team has decades of combined experience in both military cyber operations and civilian cybersecurity. We have adapted the best tactics, techniques, and procedures from each to develop repeatable threat identification processes and an effective hunting platform. We are always on the hunt. Your adversaries won't give up, and neither will we. We provide next-generation cybersecurity services to organizations of all sizes, across all domains. We research, develop, and deploy the state of the art in cybersecurity solutions to reduce risk to your organization's operations. We focus on maximum efficiency and standardization of best practices. We deliver comprehensive, detailed risk assessments that identify systemic security issues in the systems your organization relies on. We provide threat hunting services through our revolutionary FlakPacket platform to identify and stop attacks. We also provide security consulting services to assist your organization in reaching its security goals. Our proven approach to security focuses on your business operations, not just your IT operations. We identify and research the critical cyber components that keep your organization running, and then we build and execute a comprehensive plan to defend them against advanced attacks. We reduce risk to your operations by assessing your operational and technical vulnerabilities and preparing your analysts to respond to a wide range of advanced persistent threats. We research and leverage the most sophisticated free and open-source capabilities available to reduce capital expenses and platform sustainment costs. We offer a variety of equipment purchasing and leasing options to fit your organization's precise needs and budget priorities. When we tailor our security operations to your organization's unique mission, we begin with standardized processes. We apply a standard set of practices across all of our security operations centers, and you reap the rewards with faster employee spin-up and operational efficiency like you've never seen. We are security professionals with decades of combined experience supporting military, government, and private industry clients. We have stood up several elite military cyber defense units and security operations centers for high-profile government customers. We've adapted our lessons learned to become a benchmark of industry. We are connected within our communities. We are constantly educating ourselves, improving our strategies, and adapting to new threats. We're always on the hunt, and we can't wait to hunt with you. We provide a free initial consultation. Contact us by e-mail to begin. We are passionate about security, and we provide world-class services to prove it. 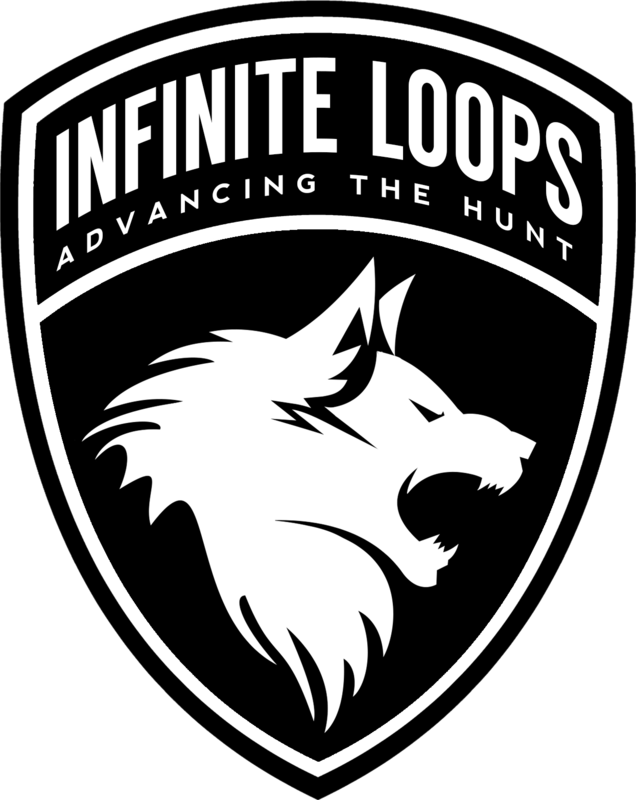 Infinite Loops, LLC is a veteran-owned small business based in Maryland.